Since the European invasion until very recently, government policy relating to Aboriginal people has been designed and implemented by non-Aboriginal people. The common justification for most policies for Aboriginal people was that they were ‘for their own good’. There have been policies of protection, assimilation, self-determination and reconciliation. It is now clear that none of these policies have actually made the condition of Australia’s Aboriginal and Torres Strait Islander peoples any better than it was prior to the invasion. When the six Australian colonies became a Federation in 1901, white Australia believed that the Aboriginal people were a dying race and the Constitution made only two references to them. Section 127 excluded Aboriginal and Torres Strait Islander people from the census (although heads of cattle were counted) and Section 51 (Part 26) gave power over Aboriginal people to the states rather than to the federal government. This was the situation until the referendum of 1967 when an overwhelming majority of Australians voted to include Aboriginal people in the census of their own country. The referendum finally recognised Aboriginal people as citizens in their own land. In 1902, women in NSW were granted the right to vote, but this did not apply to Aboriginal women. And when compulsory voting was introduced in NSW in 1929, Aboriginal people were still excluded under the Commonwealth Electoral Act 1918. In 1962, the Federal government gave Aboriginal people the optional right to vote. State laws, however, still classified ‘natives’ as ‘wards of the state’ and as such they were denied the right to vote in state elections. 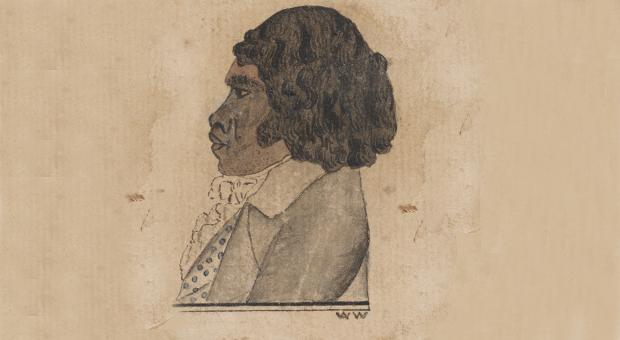 In 1881, George Thornton MLC was appointed the first NSW Protector of Aborigines. Under the NSW Aborigines Protection Act 1909, this position was abolished and replaced by the Aborigines Protection Board. This became the NSW Aborigines Welfare Board in 1943. The board administered government policy, dictating where Aboriginal people could live and work, their freedom of movement, their personal finances and their child rearing practices. The NSW Aborigines Welfare Board controlled Aboriginal lives until the 1960s, pursuing policies that are now acknowledged as having contributed to the destruction of Aboriginal families and society by separating children from their parents. These children became known as ‘the stolen generations’ and are still searching for their families. They now number between 15,000 and 20,000 in NSW alone. During World War I, around 500 Aboriginal people enlisted in the armed forces. 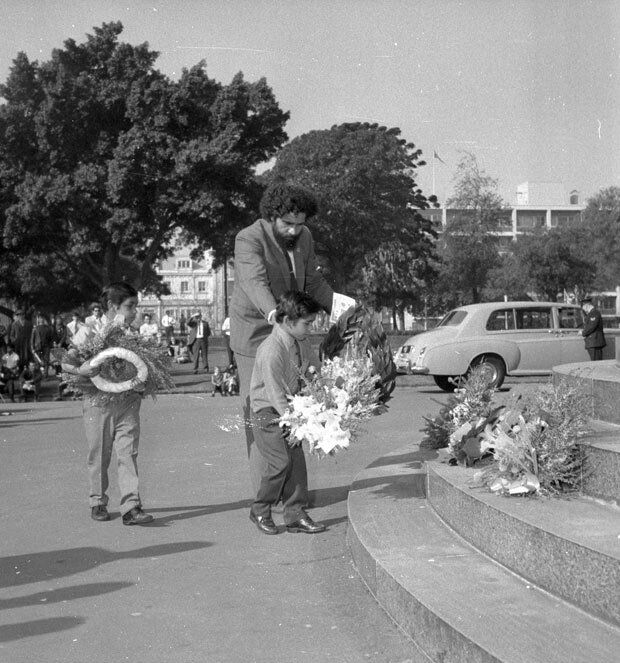 During this time, the state government continued to remove Aboriginal children from their families, including youngsters whose fathers were serving overseas. The NSW Aborigines Protection Act subsumed previous legislation, including the 1867 law prohibiting alcohol being sold to Aboriginal people. It also provided for Aboriginal people of ‘mixed blood’ to be issued with ‘certificates of exemption’, releasing them from the provisions of the Aborigines Protection Act and its regulations. These certificates, commonly known as ‘dog tags’, came at a price as individuals were forced to relinquish family connections. They were not allowed to visit their own families and were gaoled if caught doing so. Many of those who travelled to Sydney needed an exemption certificate to allow them to work. When they wanted to return home for family business like funerals, they had to get written permission from the manager of the station or mission to do so. The welfare board saw the increase in the number of certificates issued as proof of the success of its assimilation policy. The board’s policy was based on a belief that ‘protection’ of Aboriginal people would lead to their ‘advancement’ to the point where they would eventually fit into the white community. Protection and segregation policies were enforced until the 1940s, when they were replaced with policies of assimilation and integration. Features of the administration of the board included the implementation of the assimilation policy, and, from the early 1950s, the movement of Aboriginal people to Aboriginal Stations where they could be prepared for absorption into the general community. The policy of assimilation meant individual families were persuaded to share the life in the towns with whites. Earlier government policies had relocated Aboriginal people from their homelands to reserves, known as stations or missions. The assimilation policy aimed at breaking up these reserves and ‘encouraging’ people to give up seasonal and casual work, replacing this with regular work for wages (which remained unequal). The stations were considered as ‘stepping-stones to civilisation’. The Aborigines Welfare Board of NSW consisted of 11 members, and by 1943, two positions were designated for Aboriginal people, one ‘full-blood’ and one having ‘a mixture of Aboriginal blood’. An amendment to the Aborigines Protection Act in 1911 established Kinchela Boys Home and Cootamundra Girls Home for Aboriginal children removed from their families. In these homes, Aboriginal children were taught farm labouring and domestic work, many of them ending up as servants in the houses of wealthy Sydney residents. 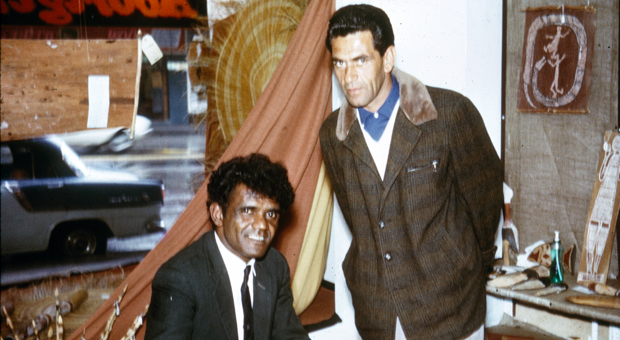 While espousing the benefits of assimilation to Aboriginal people, the assimilation policy still denied their basic rights, even in the 1960s. It stopped them from raising their own children, stopped freedom of movement, having access to education, receiving award wages, marrying without permission, eating in restaurants, entering a pub, swimming in a public pool or having the right to vote. The Aborigines Act of 1969 abolished the NSW Aborigines Welfare Board and Aboriginal children then became wards of the state. The welfare board’s functions in thus area were transferred to the Department of Child Welfare and Social Welfare. 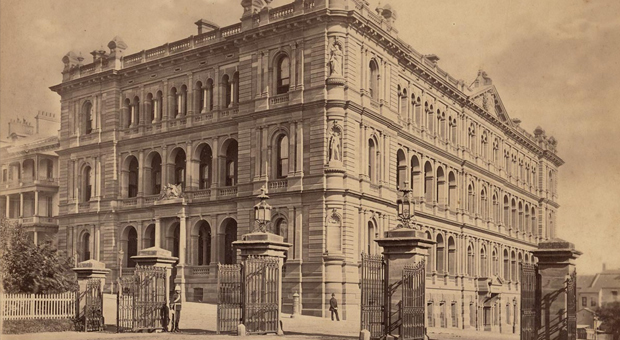 This later became the Department of Youth and Community Services, which created the NSW Directorate of Aboriginal Welfare. 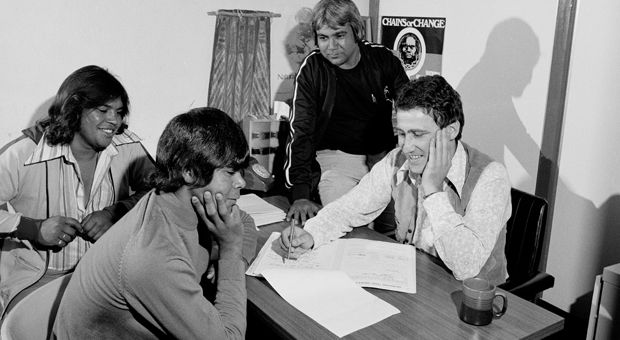 In 1975, the Commonwealth Government took over many of the functions and records of the Directorate of Aboriginal Welfare, which then became the Aboriginal Services Branch. The department’s name was changed in 1988 to Family and Community Services and in 1995 to Community Services. • It is accepted that as a result of past government decisions the amount of land set aside for Aborigines has been progressively reduced without compensation. A three-tiered system of Aboriginal Land Councils (state, regional and local) was established under this legislation. In 2000, the Metropolitan Local Aboriginal Land Council’s offices were located at the ‘Day of Mourning’ Site in Elizabeth Street but have since moved to Redfern The NSW Aboriginal Land Council’s head office is located at Parramatta. There are 120 local Aboriginal land councils in NSW and 13 regional land councils. The NSW Department of Aboriginal Affairs (DAA) was formed on 4 April 1995 (replacing the former Office of Aboriginal Affairs) and is recognised as the leading advocate and representative voice of Aboriginal affairs at both state and community level. The rhetoric has shifted to one of encouraging partnerships with the Aboriginal community and NSW Government service providers. The functions of DAA are determined by the Minister for Aboriginal Affairs and conform to the directions and requirements of the NSW Government. In the late 1990s and early 2000s, DAA worked in partnership with the Cabinet Office to provide an executive service to the Cabinet Committee on Aboriginal Affairs, which set the direction of government programs. In 2013, Aboriginal Affairs is now an office within the Department of Education and Communities and has ‘primary responsibility for providing advice to government on matters effecting Aboriginal people and communities in NSW’. 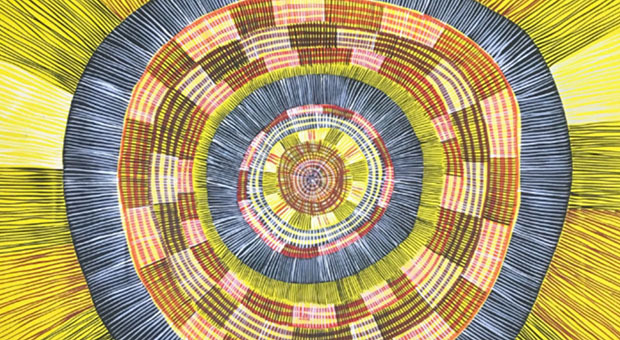 On a national level, the Aboriginal and Torres Strait Islander Commission (ATSIC) was Australia’s national policy making and service delivery agency for Aboriginal and Torres Strait Islander people from 1900 to 2005. ATSIC was an independent Commonwealth authority established under the ATSIC Act passed in November 1989. ATSIC had offices in all States and Territories and advised the Minister for Aboriginal and Torres Strait Islander Affairs, while delivering programs to Aboriginal and Torres Strait Islander people. ATSIC was governed by elected regional councils and power over decisions about policy making and funding was held by a Board of Commissioners representing their local communities. In relation to the past administration of Aboriginal affairs, it should be recognised that Aboriginal people have continuously resisted the imposition of much of this government legislation. The official records reflect this opposition and contain letters written by Aboriginal people seeking to recover their land, to receive the right to vote, to have their children returned, to receive citizenship rights and so on.